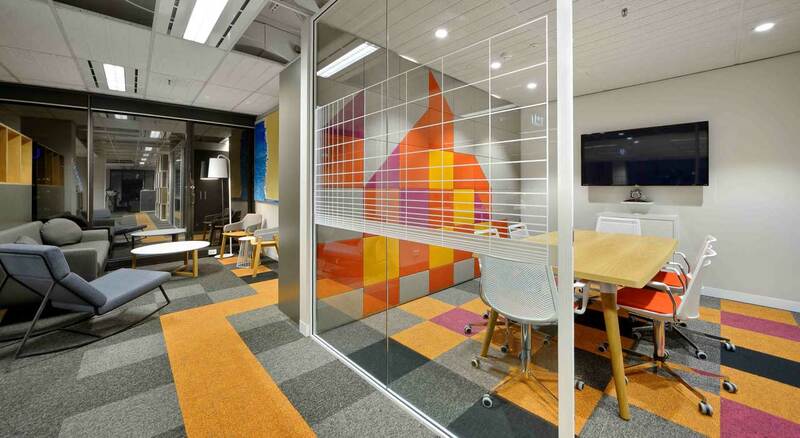 FinancePlus were after a workspace that was as bright and exciting to work in. 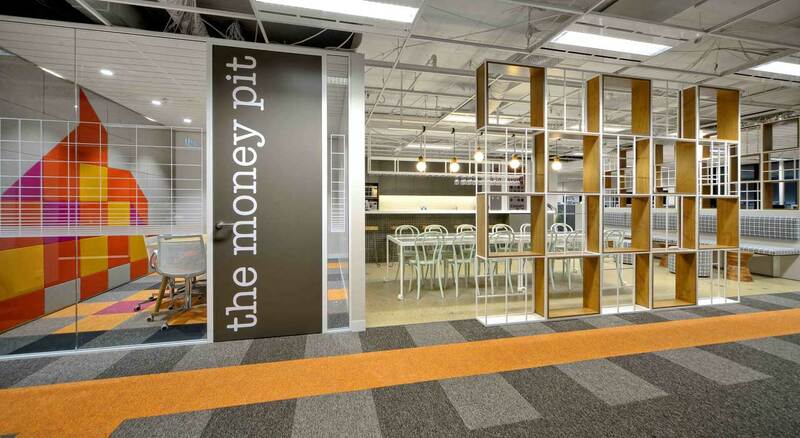 It was important to introduce some contemporary and edgy elements to the new FinancePlus space to provide staff with a space they could be proud of. 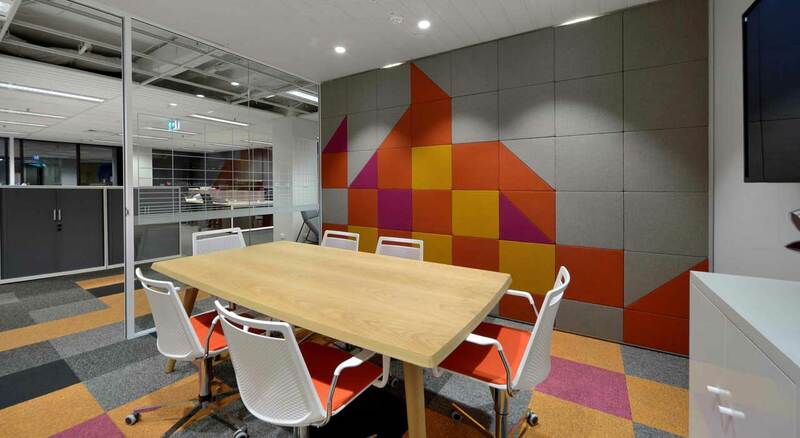 Warm timber elements were paired up with bold colors, in particular the formal meeting room was created bright and colorful to ensure the core of the building would not appear dull with the intention of breaking up the workstations.